I go to an Islamic school in another country. I have been to your website and have also watched your shows on AAJ TV and I am very influenced about the way you answer questions and also talk on miscellaneous subjects. You have a very good way of looking at things and problems as a Muslim. I am emailing you on a particular subject; the hijab. It is a common issue in my house and my dad is always forcing me to wear the scarf. He claims that it is compulsory and that I should always wear it 24/7. I already wear the scarf at school from 8:30-3:30pm and I think that is enough. 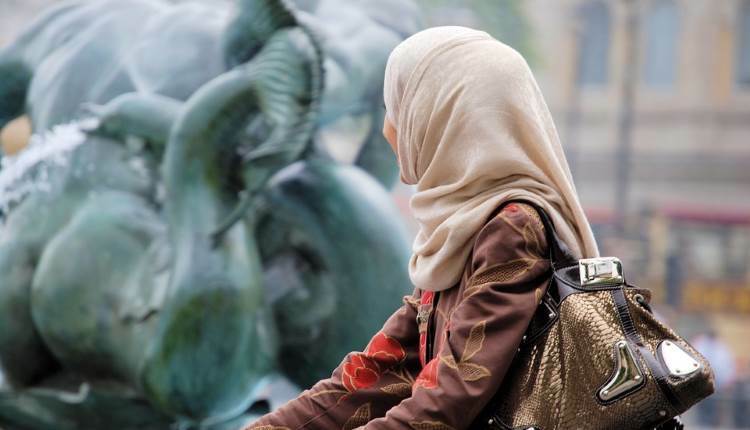 I would like to wear hijab after marriage but my dad doesn’t let, he says that I should start now and also brings up the Qur’an saying that it is compulsory .If I don’t wear the scarf (which I normally don’t) I always get lectures which I get very annoyed by. I don’t mean to be disrespectful to my dad but I don’t think I am ready at the moment. When he gets angry he says to mum that it is all her fault (because she only wears it on religious occasions) and that brings tension in my house. I would appreciate if you can reply to my e-mail with an answer. I don’t want to add to the tension of your home. It would be good if you wear hijab according to the wishes of your father, but it is not a religious obligation to always do so. What you must do is to be careful about your thoughts about the opposite gender, to not look at anyone with lustful eyes and thoughts, wear a decent dress which covers your body well, and your should especially cover your chest. If you have done make up or have put on jewelry, then you can only show your face, hands, or feet. You must cover your head if you have beautified your hair. Covering otherwise is a good idea but not compulsory.